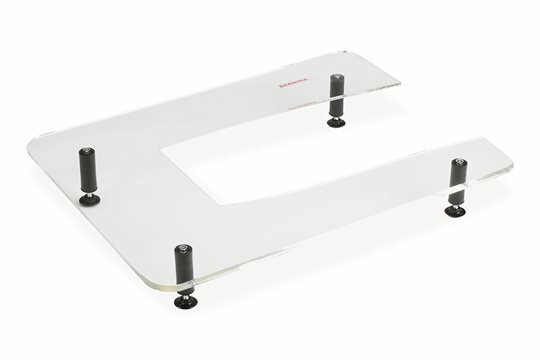 The plexiglass extension table for quilting makes light work of large quilting projects such as throws, quilts and wall hangings, increasing your work surface and distributing the weight of the quilt evenly over the entire table. The Plexiglass extension table for quilting is very stable and fabric moves like a dream over its smooth surface. Used in conjunction with BERNINA Quilting foot # 29 or Echo-quilting and CutWork foot # 44C, it gives you neat, precise results even with challenging quilting projects.